Alternative Dispute Resolution Institute of Canada Inc.
White Eagle Promotions, is an artist development and management company rapidly growing, founded and run by Maureen Smith, CEO, Canadian born record promoter, music industry management consultant, producer, mediator, coach, recording artist, pianist/vocalist, musician, songwriter, and entrepreneur. Ms. Maureen Smith offers services as a Promoter, Publisher, Agent, Distribution Consultant, Radio Promoter, Internet, Marketing and Music Industry Consultant, Mediator and Coach to authors, businesses, recording artists and bands in Canada, the USA and Europe. Maureen travels regularly to several major music conferences around the world in the USA, Europe and Canada and has developed over the years extensive contacts in all areas of the music industry and publishing. Initially, Maureen began playing the piano by ear at 4 years of age, which is when she was first enrolled her in private music lessons. She began her first job in a music studio at 16 years of age, teaching piano, and shortly after additionally working in a law firm preparing legal contracts as an administrative assistant. Maureen now brings over 40 years of experience, education and expertise to her clients. Maureen Smith is also a recording artist , songwriter, composer, pianist/ vocalist, solo entertainer, professional musician who founded and developed White Eagle Records Limited. Maureen’s last CD, “Spirit, Songs of Inspiration”, is distributed and broadcast across North America, in addition to worldwide on the Internet. 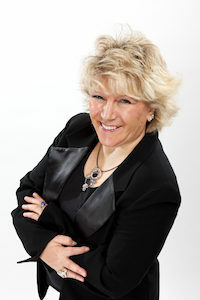 As a professional musician, performer and pianist of over 40 years, Maureen performed cover tunes for several years as a solo pianist/singer, piano bar entertainer, in Canada, the USA, Mexico, and the Caribbean , including cruise ships, hotels, films, restaurants, corporate functions, several weddings and private social events. Her first full Cassette Tape “In The Mood” , was completed in 1996, with a unique collection of pop, country and jazz cover songs. Then several demos after that Maureen produced her CD release, “Spirit, Songs of Inspiration”. This was an original CD of music, of which Maureen was the songwriter, composer and lyricist for the entire CD, in addition to the cover song, ” Air That I Breathe”. This involved meeting with several top producers, producing and recording with many established engineers, top studio musicians, and working with leading Canadian photographers, production of artwork and top award winning Canadian graphic designers. As a music producer , recording engineer and owner of Maureen Smith Music Studio, Maureen has produced with some of the leading Grammy award winning engineers , including Doug Sax, The Mastering Lab, Hollywood, California, David Glasser, Airshow Mastering, Boulder Colorado, and some of the leading recording studios in Canada, including Metalworks, Phase One , Iguana Recording Studio and Kensington Sound, in addition to several of Canadian and American top studio musicians and recording artists. As a music agent , Ms. Smith booked most of her own gigs, in addition to working with music agents in North America and for the Ron Albert Music Agency. As an entrepreneur, Maureen has extensive experience in retail sales and marketing. She developed “Scents From Nature” and invented, produced and marketed a new line of aromatherapy dream pillows, which are tiny pillows placed under your pillowcase, filled with different combinations of herbs to help with insomnia, induce relaxation, sleep, invoke dreams and helping one to remember there dreams. The pillows have sold in several independent stores around the world. Maureen also a private piano, theory, and voice teacher, teaching from her own studio also, was also a band conductor, instrumental and vocal music teacher, for the school board, directing and teaching music programs, several concerts and shows, as a music educator. At “The Learning Annex” for Adults in Toronto, she wrote the course and taught, “The Shower Singers Workshop” to several adults learning to sing, and improving there stage performance. Maureen obtained an A.R.C.T. in Piano Teaching from the Royal Conservatory of Music, University of Toronto, graduating with one of the top scores of the year. Maureen additionally completed extensive training in theory, composition, harmony and piano pedagogy. She also obtained a Bachelors degree in Music Education, at the University of Western Ontario, graduating as an Instrumental Music Teacher and Band Conductor, while learning to play and teach all the woodwind and brass instruments, in addition to acoustic guitar, violin and cello, and a 3rd degree , Bach. of Ed. from the University of Windsor. She also studied Careers in the music industry at the Trebas Institute of Recording Arts. Maureen Smith, president of White Eagle Promotions. and White Eagle Records Ltd. has been involved in music for over 40 years. From promoting, studying, performing, teaching, conducting, recording, engineering, producing, songwriting, publishing, marketing, arts administration, sales, consulting and coaching, she brings a vast amount of experience, knowledge of the music industry and diversity to aspiring, artists musicians, and songwriters in addition to up and coming authors and businesses in publicity and promotions. As a publisher, music producer and music educator, Maureen brings a spiritual and open attitude and receptiveness to most all genres of music with respect for all cultures of music, from a universal and global perspective. Through the love of the music business, and live music concerts she now operates White Eagle Promotions, promoting and managing new talent to the world, and welcomes the future stars of tomorrow!